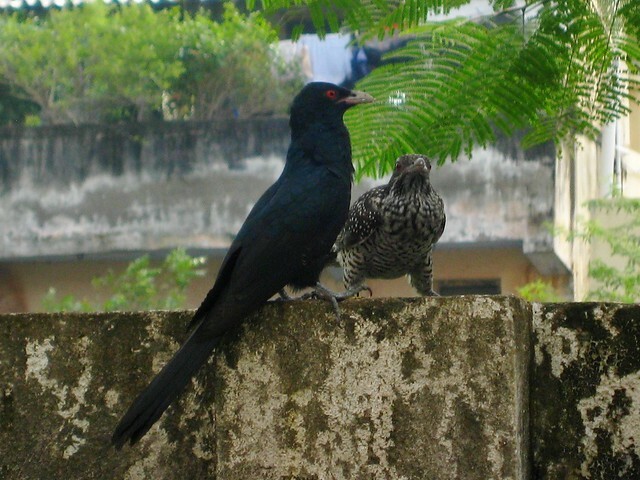 Hello, the Koel is a handsome bird. I like the red eyes! The female does look more like a hawk. Great shots! Thank you for linking up and sharing your post. Happy Saturday, enjoy your weekend! What interesting birds, and I love that red eye! Hope their sweet music brings joy to your day. Lovely to see male and female together. Hope you have a lovely weekend. It is a great looking bird. Maybe a wood platform could be placed on your wall to make them want to come closer. Food to attract them would be fun. I would love to have green parrots that were in the wild to see. In Punjab you hear Koel's musical notes around early summer,when it is comfortably breezy. It stays on till the mango trees start budding.Then it disappears as the mercury begins to rise.Though its melodious singing pervades the atmosphere,I hardly ever see her. In Himachal(Kumarhatti)where we're putting up these days,I almost daily see her hopping around for grub but it does not sing at all.I've never tried to click her this season though.I notice her red eyes and yellow beak.I love this bird for its sweet notes as i feel uplifted listening to her. 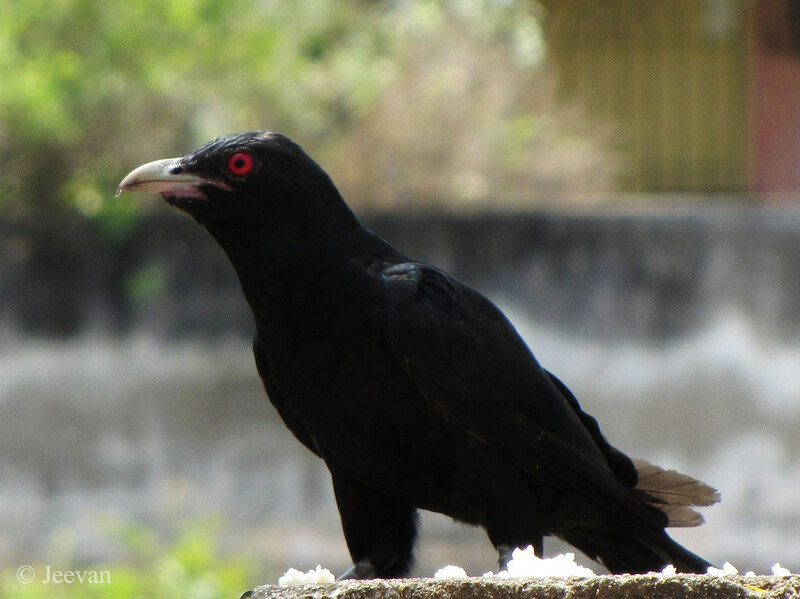 Wonderful shots of Asian Koel. Their call is sweet. I see them now near my home too! I see either male or female alone near my balcony but very rarely was able to take photos of them together. Your photo is lovely! I have never seen a Koel (Kuyil) and so delighted to see it through your eyes, Jeevan. Great and beautiful pictures of these pretty birds.